A former police officer in Baton Rouge, La., writer Laurie Lynn Drummondwill read from her work Thursday, February 23 at 7:30 p.m. in Hopwood Auditorium. 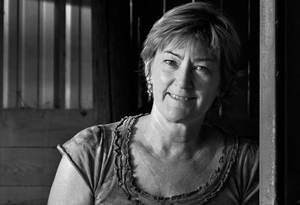 Drummond is the spring Thornton Writer-in-Residence at LC. Drummond’s collection of linked stories, Anything You Say Can and Will be Used Against You (HarperCollins 2004), was a finalist for the PEN/Hemingway Award and won the Best Book Award from the Texas Institute of Letters and the Texas Violet Crown Award, and has been translated into Finnish, Japanese, and French. “Something About a Scar” won the Edgar Award for Best Short Story. Her fiction and creative nonfiction have appeared in The Southern Review, Story, New Virginia Review, Black Warrior Review, Fiction,Creative Nonfiction, Fourth Genre, Brevity, and River Teeth, among others. She is currently working on a book-length memoir, Losing My Gun. Drummond taught creative writing at St. Edward’s University in Austin before teaching fiction and creative nonfiction in the M.F.A. program at the University of Oregon, where she also directed the Kidd Tutorial Program, a yearlong multi-genre course for undergraduates. The reading is sponsored by The Richard H. Thornton Endowment in English and the School of Humanities and Social Sciences.